Long-established vendors of informatics software face challenges in keeping up to date with technology, but as Gloria Metrick discusses in the first of three articles on this topic, customer needs are what drives renewal. Some software vendors in the informatics industry have been around for quite a long time, and are selling and implementing software that has been around for many years. Today, when software in the consumer electronics sector is outdated almost as soon as it comes on the market, how can this be the case? How can these companies not only survive but flourish in our ever-changing technical environment? Representatives from three software vendors were interviewed for this article; it is notable that many of their comments were strikingly similar. With more than 30 years in business and close to 12 years supporting its current product offering, LVS (LabVantage Solutions) is one company that has had to face the challenge of rapid technological change. Puneet Goel, director of product management and marketing, made the key point that LVS software is a living product: it is mature, not ‘aging’. According to Kim Charles, the company’s marketing manager, maintaining focus is a high priority at LVS. Its focus remains on its single product, and that focus is essential for keeping that product relevant, current, and tailored to meet customers’ needs. Autoscribe began as a reseller of the Matrix LIMS, a product introduced in 1988. Then, in 1993 Autoscribe purchased Matrix LIMS and has continued to update the system to its current Matrix Gemini version. John Boother, managing director, does not see Matrix as ‘aging’ either, because the product has been rewritten and revised. Thermo Fisher Scientific is our third example. Matt Grulke, director of marketing and product management, also does not warm to the term ‘aging’ to describe his company’s software. With well-established products, extensive features, and brand recognition, Matt agrees that it is a challenge to be current and meet customers’ changing needs. He also points out that their software has been rewritten. None of these vendors’ products is the same as when they first came on the market. In fact, they do not even look the same as they did years ago. However, rewrites are neither the only nor even the key element to managing the effort of remaining current. Rewrites are only ways to make delivery. Every software vendor must do some amount of customer research. The three companies interviewed for this article appear to spend inordinate amounts of time on this. Puneet Goel points out that, at LVS, their product management process is designed to keep track of market needs and changes in the business climate. They have multiple channels to which they look for this information. They gather external feedback but they also look internally, to obtain information from the actual people who routinely deal with the customers’ needs, such as sales and implementation personnel. They also attend industry events and trade shows. They ask their customers how they measure success, and have a customer advisory board and a customer user group. They also talk to people in the industry other than customers to understand what areas are important. LVS maintains that because it is a small company, it is relatively simple for any LVS employee to talk to anyone who might need information, whether internally or externally, so LVS personnel can speak directly with customers. This capability keeps all LVS people closer to the company’s customers. Autoscribe’s John Boother also speaks a lot about customers. He places much value on Autoscribe’s annual customer survey. However, Boother says, the communication cannot be just one-way. He emphasises that customers have to be on-board for software rewrites and upgrades. As a specific example, when Autoscribe last upgraded its software, it made certain to keep users informed of how the new features would, and would not, affect them The idea was to ensure that users would keep features they had currently, but could use the new features in the upgrade if they so desired. This is key to the upgrade process, ensuring that customers know exactly what outcomes to expect. Also, as it too is a small company, at Autoscribe it is still fairly easy for anyone to contact anyone else with specific questions about one implementation or another. Thermo Fisher Scientific is by no means a small company. But it has the same concerns about the customer experience as its smaller competitors. As Trish Meek, director of product strategy for informatics, noted the informatics industry is relatively small. Thus, regardless of the software vendor’s size, customer retention is an important issue. Meek says Thermo Fisher Scientific has to be invested in its solutions in order to keep customers satisfied. With regard to upgrades, she mentions that it is also concerned with good transitions; its goal for each upgrade is to shoulder the burden of that transition so the customer does not have to. With so many tools available for use with their products, Meek points out the necessity of continuing to support existing customers and the business processes that they have modelled in older tools, while concurrently developing new ideas and new tools. In other words, while Thermo Fisher Scientific is committed to developing new and better ways to implement its systems, it also wants to ensure that customers are not forced to abandon their older solutions until and unless those customers are ready to do so. In her second article, Informatics software out of the box?, Gloria Metrick examines the challenges of keeping up with customers’ changing need and with changes in technology. 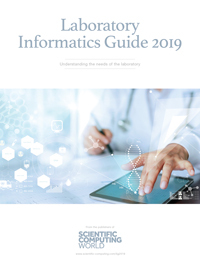 In Expanding the market for informatics software, her final article on the challenges facing long-established informatics software vendors, she considers their expansion into new markets but concludes that, as ever, the customers’ needs are the driving force.